S.S. Minnow Remote Control Boat! 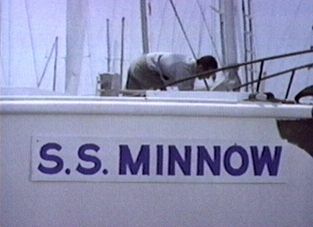 The name "S.S. Minnow" was actually named after Newton Minow and was chairman on the FCC in 1961. He made a speech and called television "America's vast wasteland." The boat was named after the man who, Sherwood insists, "ruined television." Minow gave networks authority and placed the power of programming in the hands of the networks. He did this after Gilligan's Island was started. 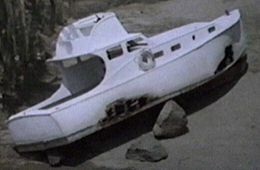 There were actually four S.S. Minnows used on the show. 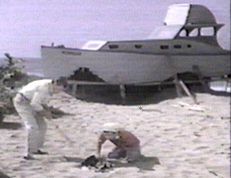 The first Minnow was purchased and towed out to Kauai and used in the beach scenes. The second one was a rental they used in the opening credits at the Honolulu Harbor. It showed the crew boarding and then showed it sailing out to sea to give escorted tours. The third was filmed in the opening credits of the second season at Marina Del Rey in Los Angeles. 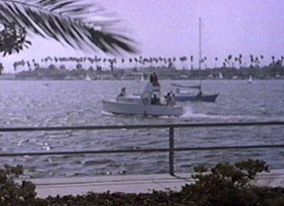 The fourth one was built for CBS Studios and is shown at the Lagoon in the second season opening credits. Below you'll find the pictures of all four boats. 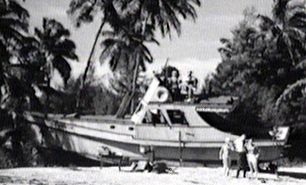 UPDATE: (colored photo's above) Kevin Gibson just spotted an exact look-a-like and discovered that the pilot episode boat was actually called a Haole Sampan vessel. This boat was named "The Islander" owned by the Maggie Joe Sports Fishing C.
Minnow #3 - Marina Del Rey, Second Season. "The Bluejacket"
You may have noticed that the S.S.Minnow looks somewhat different than when it was on the show. 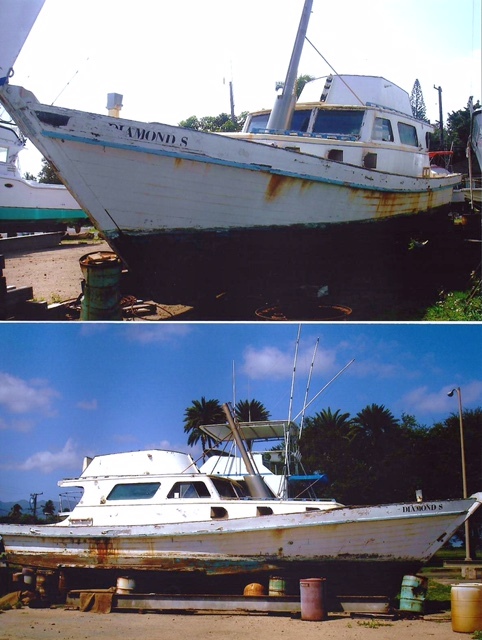 Here's why:The second owner hired the Wheeler Yacht Company to convert the boat to a Salon Bridge in 1971. Minnow three has been found and is now owned by a delightful Scotsman named Scotty Taylor and he resides on Vancouver Island in British Columbia (Canada). 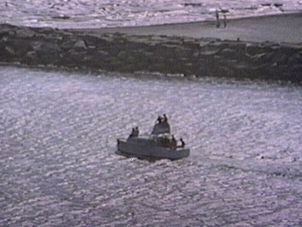 While Scotty was travelling in Hardwick Island in 1996 he noticed that a crew was pulling a capsized boat out of the water at Johnson Street, also known as the Johnson Reef. A storm had swept through this area and the American that owned the boat piloted the vessell into the reef, sinking it. It was underwater for three days rendering all of the electrical equipment useless. After the boat was towed out of the water, it was easy to see that this boat would never set sail again. 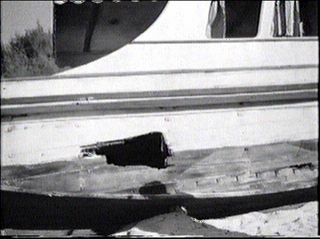 But Scotty noticed that this particular boat was a 1964 "Wheeler" built in Carson, New York. He knew that this model was very well made and had a good reputation. 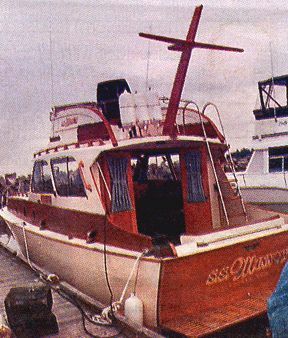 The american sold this boat to Scotty for $3,500. This boat was called "The Bluejacket." The american told him that this particular boat was rumored to be the infamous S.S. Minnow. Scotty didn't pay much attention to this because he really wasn't a fan of the show. 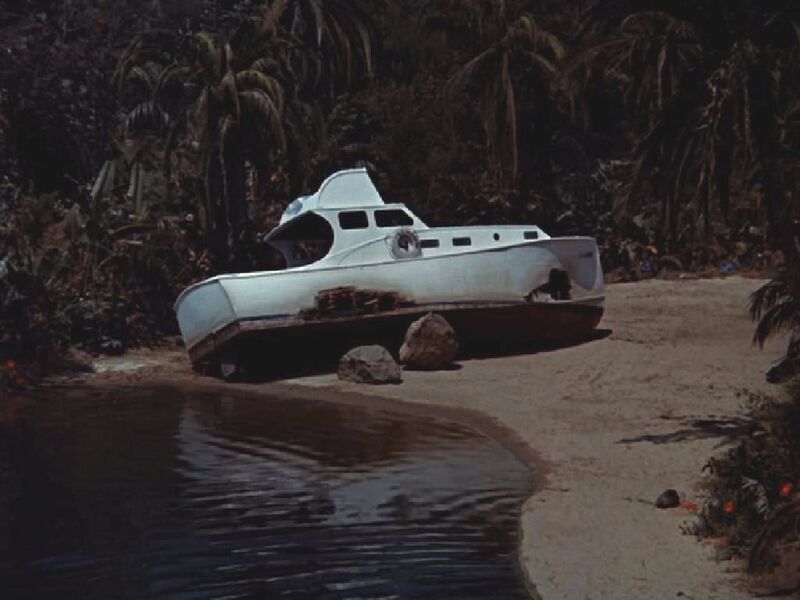 After Scotty purchased the "Bluejacket," he did his own research and found that the VIN number did indeed match the white boat that was purchased in 1964 for the second season of "Gilligan's Island." 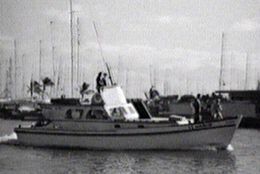 You can see this boat in the opening theme with the Professor loading something on it, Gilligan standing on it and then watching it go out of the Marina Del Rey in Los Angeles. It took Scotty two years to restore it and cost him a mere $150,000. He changed the official name to, what else, the "S.S. Minnow." The specs on the Minnow: A 1964 "Wheeler" measuring 38'6" in a straight line from nose to tail. It's certified as a 40' boat because in America the measurement is taken from the outline of the deck. It houses two Detroit Deisel engines @ 230 hp each. Maximum speed is 14 knots, with a cruising speed of 12 knots. The Minnow is docked at Schooner's Cove Marina in Nanoose Bay, Vancouver Island and it available for public viewing. So what is the Minnow used for? Not too much. Scotty takes it out fishing and parades the boat in a handful of shows at Maple Bay. 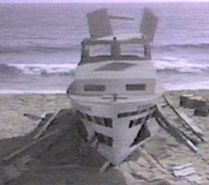 An interesting story is that while Scotty was at Cape Beale a storm hit and a 40 foot wave knocked the dingy and zodiac off and almost capsized the S.S. Minnow, again! Scotty Taylor is the owner of the River Bend Resort. What does the S.S. stand for in the S.S. Minnow? I've heard many answers, and I'm still not 100% sure what it means. S.S. stands for Sailing Ship, which even though she had 2 diesel engines, she still qualifies as a sailing ship because she is equipped with sails. U.S.S. is what we are accustomed to, HMS as well. According to experts it short for "Steam Ship." S.S. was what ocean going ships were called back in the early days. USS = United States Ship = These are Commissioned warships of the US Navy crewed by active duty US Navy personnel. USNS = United States Naval Ship = these are commissioned auxiliaries of the US Navy crewed by US Merchant Marine officers and crew. M/V = motor vessel ( this is what the Minnow should have been called because it was powered by diesel engines)... It should have been M/V Minnow. M/V= M.V also stands for marine vessel, at least that's how it is in Canada. All documented vessels will have a designator as delineated above. One of our members was touring MGM-Disney Studios in Florida, and he noticed a familiar looking prop. 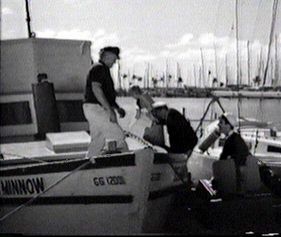 His research found a secretary who found that the boat WAS listed on their 'prop registry' as the "S.S. Minnow boat, 1964 CBS opening credits for the Gilligan's Island TV show." 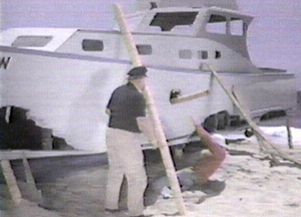 The boat was moved several years ago from CBS Studios in California. There were no markings on the boat, as it had been recently repainted to help preserve it. However, this prop doesn't resemble any of the boats above. Interesting.